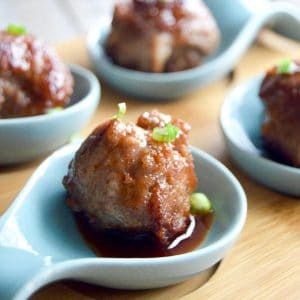 Bacon Wrapped Blue Cheese meatballs have a slight heat to them but the creamy melted blue cheese in the middle cools the bite down! Perfect for any game day party! 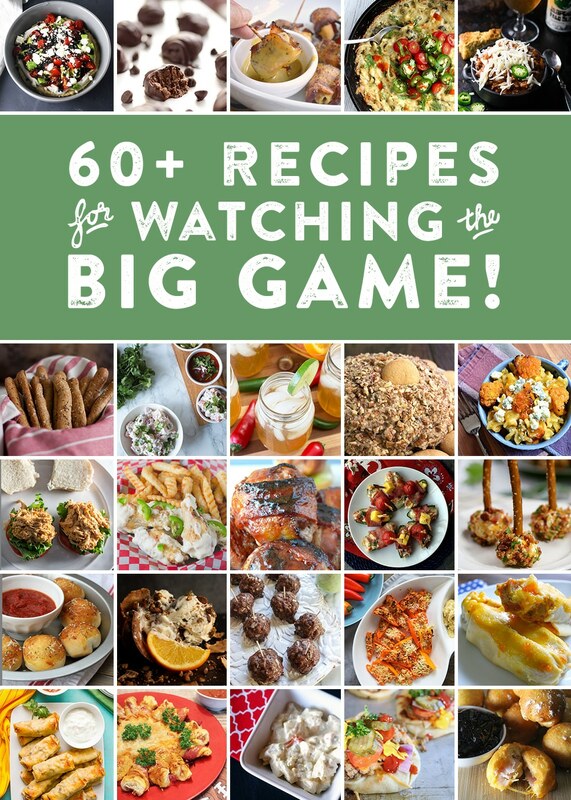 The playoffs are here and I’ve teamed up again with my fellow football foodie bloggers to give you a whole bunch of ideas for your game-day foods! 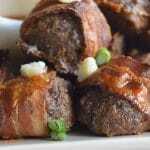 Since meatballs are always one of my most searched items I combined meatballs with bacon and blue cheese for Bacon Wrapped Blue Cheese Meatballs for a twist on a traditional meatball! I find the most difficult part of making meatballs with bacon is getting the bacon crisp enough so you don’t have raw bacon on your beautifully cooked meatball. (Ekes, that is just not right!!). I tried several ways to cook the bacon a little before wrapping them around the meatball but in the end the most efficient, and least messy way of making he bacon was to microwave the bacon for a few minutes before wrapping it around the meatballs. I also suggest using the thick cut bacon because it holds up better when baking around the meatballs. 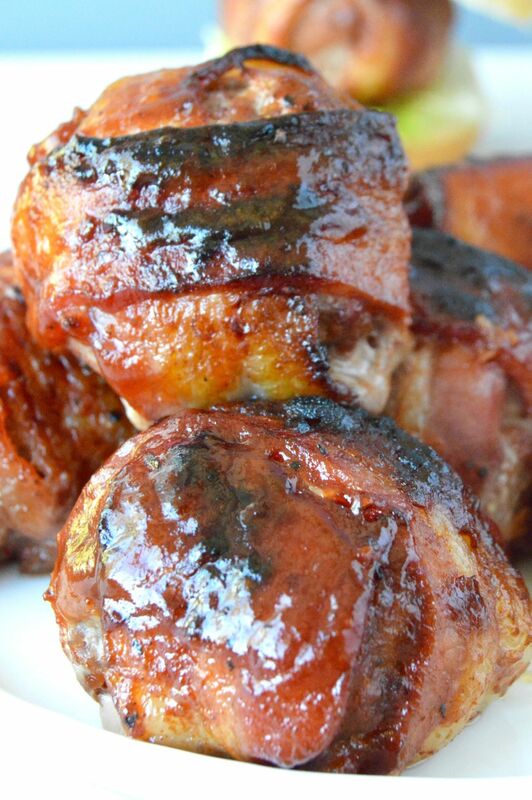 This Bacon wrapped meatball can be made ahead and then placed in the fridge until you are ready to bake them. I made these the night before and then popped them in the oven right as my guests were arriving so they could smell the deliciousness! In batches, place paper towels (2-3) on a plate, and line up 6 pcs of bacon across paper towels. Cover with one sheet of paper towels. Using a wooden spoon or your hands, mix together well, beef, pork, heavy cream, egg, salt, cayenne pepper, and bread crumbs. Do not pack meat too tightly, as you want a lighter meatball versus heavy, hard final product. Divide blue cheese into 50 small cubes. Scoop about 1 tablespoon meat mixture and flatten it in your hand. Place small cube of blue cheese in the middle and then make meatball to completely cover the cheese. Place meatballs on broiling pan at least 2" apart. Bake for 20 minutes rotating in the oven at 10 minutes for even cooking. Remove pan from oven and increase temp to broil. While oven is heating up, brush the meatballs with the bbq sauce. Place meatballs in oven, watching them very carefully so they do not burn. Cook for 5-10 minutes until bacon is crisp, but not burned. 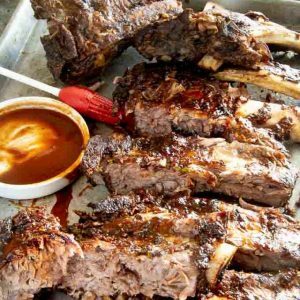 The bbq sauce is optional, you will still broil them if you don't use the sauce. Remove from oven, allow to cool for 10 minutes before serving. « Guacamole BLT Bacon Cups! 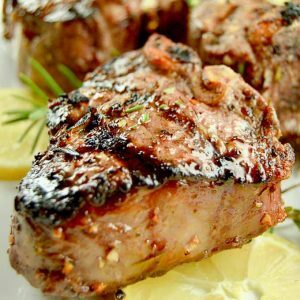 A low carb option! What a great recipe. The partially cooked bacon really helped form around the meatball. … great tip! Oooh, this looks like something I could easily eat way too much of! Blue cheese is my favorite! It makes everything better haha! This looks like awesome Super Bowl food! I love the addition of the bleu cheese. Talk about yummy. 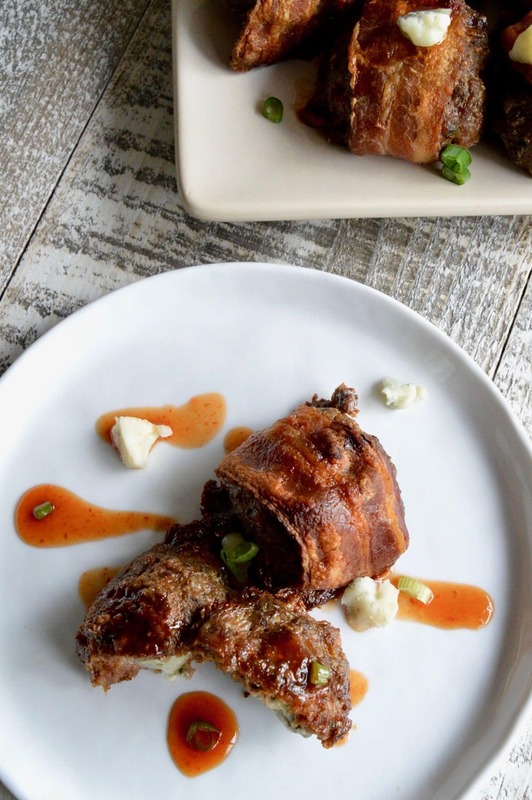 I’m all for anything wrapped in bacon but this has to be my next recipe to try. Yummy. I love to put blue cheese on everything. 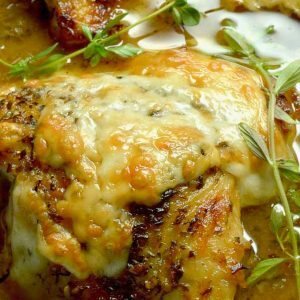 Can’t wait to try it in this recipe! These look so yummy! I know my hubby would love these on game day! I’m looking forward to the Super Bowl now that I have found what might be the ultimate meatball. Beautiful shot by the way. Mark! You just made my whole day! A compliment from you on photos is a BIG DEAL! ~thank you!! Oh wow! These sound AMAZING!!! These look awesome! Need to try them! And checking out the other recipes!